One of my Christmas presents to my sister was a dual membership with me to the Metropolitan Museum. Since her birthday is Monday, we decided to celebrate by seeing a couple of exhibits at the Met and having lunch in the lovely Members Dining Room, which is almost worth the cost of membership alone. 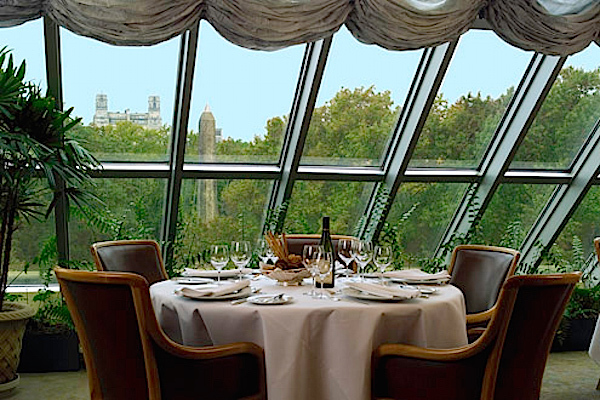 On the fourth floor overlooking Central Park, it is the perfect respite for a special occasion. 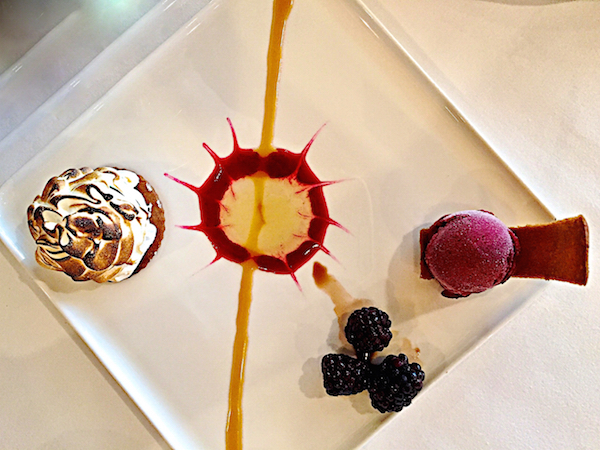 The service is attentive and Chef Fred Sabo’s food is fresh and delicious with appropriately stylish presentation (below our Key Lime Baked Alaska with Lime-Ginger Sauce and Blackberry-Oregano Sherbert – delicious). While there is always something to see at the Met, we went to specifically see two exhibits. Madame Cézanne is a quiet blockbuster of a show that will have you thinking about the artist, his wife, the art of portraiture and the enduring importance of Cézanne for days to come. 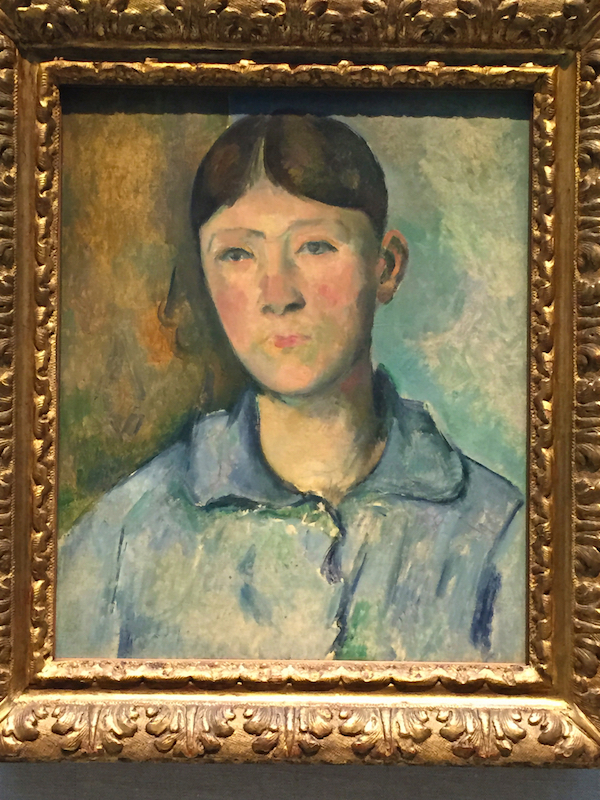 Including twenty-four of the twenty-nine known portraits Paul Cézanne painted of his wife, the show explores the role Hortense Fiquet played in the life and work of the artist. The most frequent and longterm subject of Cézanne’s portraits, Hortense was maligned by his friends and family, as well as in the annals of art history. But she now finally gets her due. It is clear, despite whatever their personal relationship might have been, that she played an essential role in the development of her husband’s work. Sitting for Cézanne is known to have been a torturous task as he worked slowly, taking long pauses between each carefully considered stroke while expecting his subjects to remain still and silent. And yet Hortense continued to pose for him over the course of twenty years. This shows at the very least, a loyalty, patience and respect for craft. Cézanne’s portraits of his wife are not contemplative searches of character but rather explorations of the artist’s sensory perceptions. Like his repetitive examinations of Mont St. Victoire and still lifes, Hortense served as a familiar subject matter, allowing Cézanne the freedom to explore process through an incremental approach. She appears different in each portrait, her expressions seeming to be not so much a reflection of her attitude as an abstraction on the part of the artist. Forming a cohesive body of work, these portraits serve not only as a reconsideration of Hortense’s importance but also as insight to Cézanne’s innovative and powerful work which influenced so many of the greatest 20th century artists. Perhaps that is why artists of international caliber are flocking to this show. And you should too. 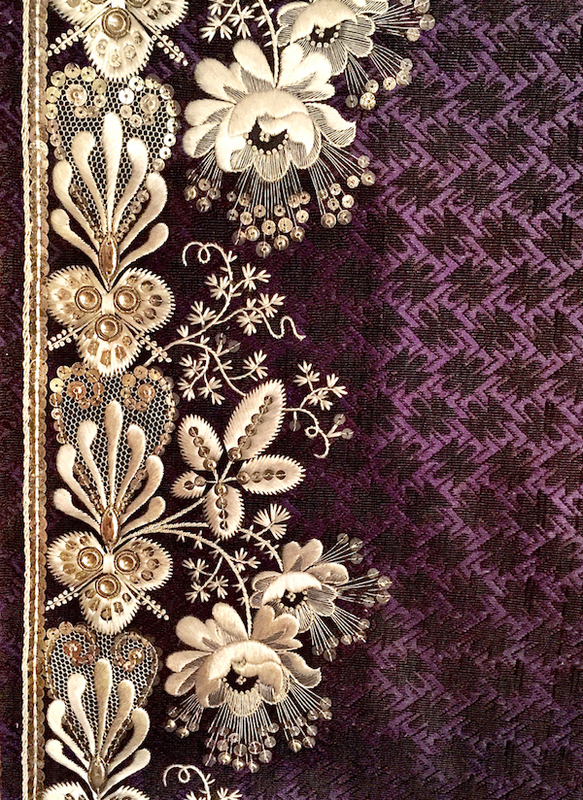 On the lower floor, Elaborate Embroidery is a small show featuring the amazing sartorial artistry available for men to choose from in Paris between 1760 and 1815. 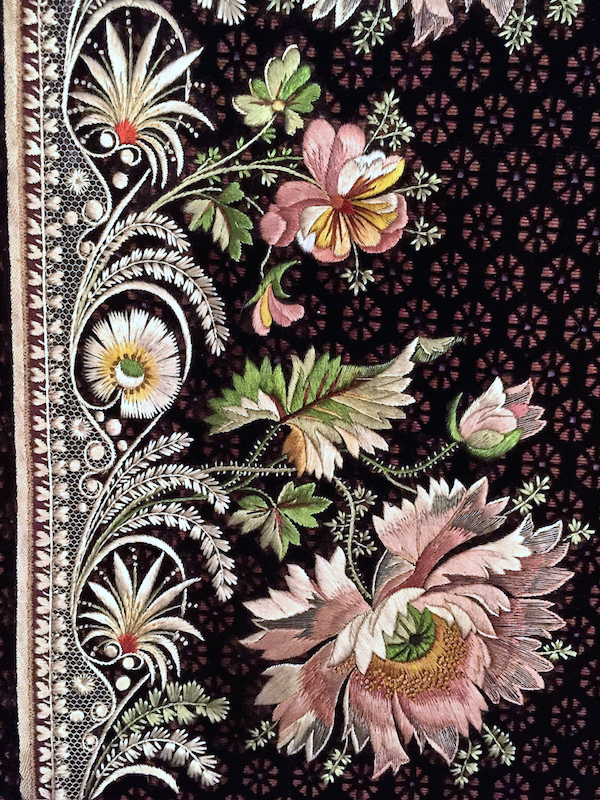 Not unlike the contemporary Haute Couture Ateliers I wrote about last fall, the Parisian embroidery workshops of the era produced exquisite handmade designs, such as the silk embroidery on silk velvet above, to enhance the decorative quality of upper class European menswear. 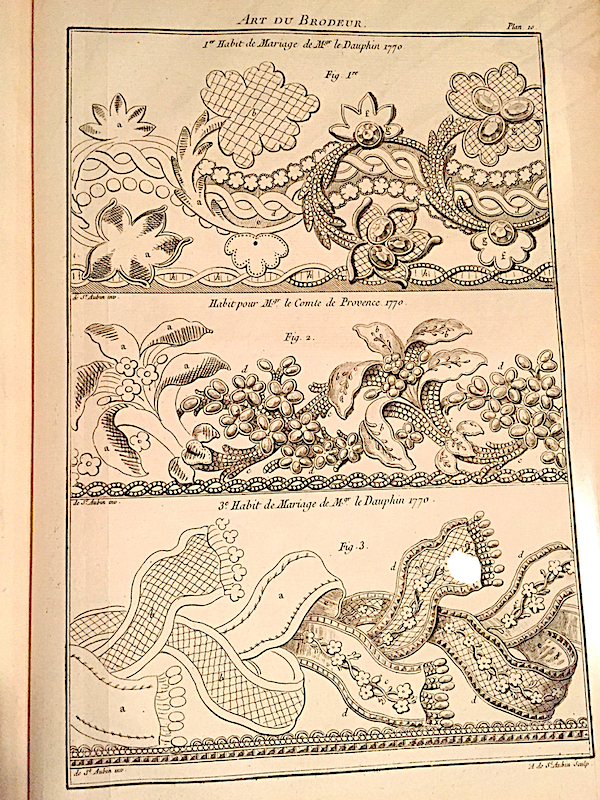 A copy of the book, The Art of the Embroiderer, published in Paris in 1770, on display further illustrates the detailed work and preparation that went into these fashionable decorations. This show offers a peek at how such couture custom garments were an integral part of not only upper class European women’s lives of this era but those of the men as well. 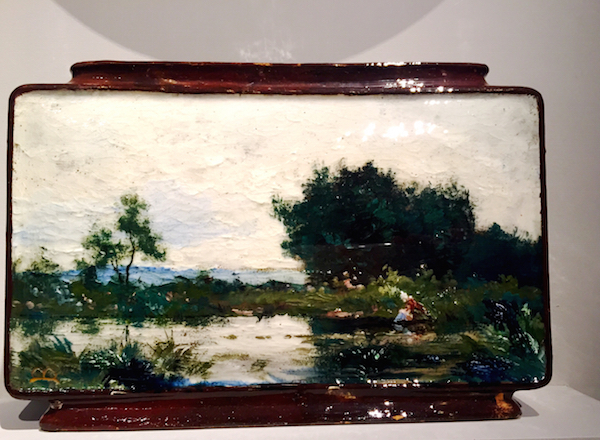 Lastly, the recently acquired Robert A. Ellison Jr. Collection of European Art Pottery is included in another small show, Making Pottery Art, which shows the forward looking approach to the medium French potters took at the turn of the 20th century. Shown alongside many of the works from other cultures that inspired them, they are a surprising mix. I was especially intrigued by this beautiful Haviland Jardinière, with its pictorial landscape scene. This entry posted in art, art history, fashion, food and drink. 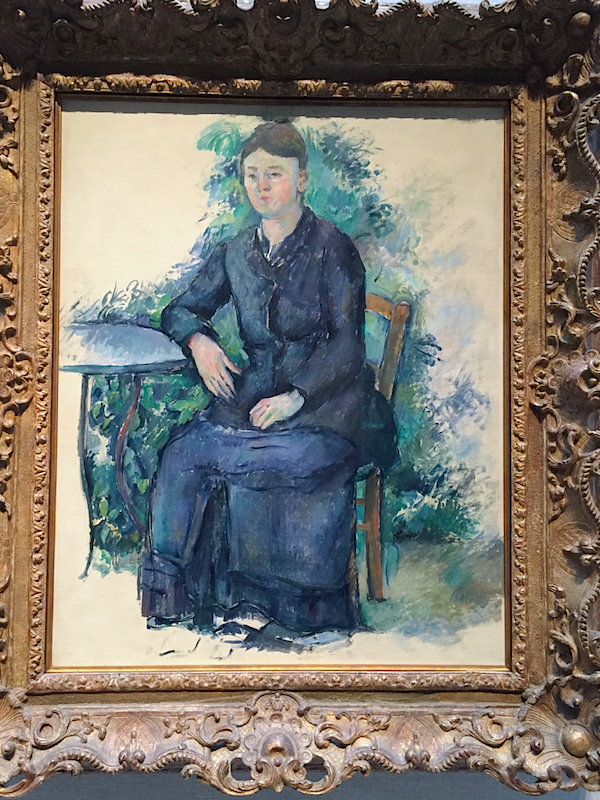 Entry Tags: art, art history, Art of Embroidery, Cezanne, Fashion history, Madame Cézanne, Metropolitan Museum of Art Bookmark the permalink. I had lunch at the members dining room for my birthday with dear friends too and it’s a lovely way to celebrate a special day! Can’t wait to see these exhibits! Fabulous coverage of wonderful exhibits! A trip to the Met is now on my list for next weekend. A Sunday well spent. My mother instilled a love of the work of Paul Cezanne in me at a young age. Your post makes me think of my sweet, wonderful Mom. Stacey what a wonderful gift for you and your sister! The exhibits sound so important and I would love to see the Madame Cezanne paintings! Divine day! The Met is one of the few things I miss about living up North. Well, maybe not few, but one of the main things! Do not miss the snow and ice! How long will the Cezanne and the embroidery exhibit last? Would love to see both. I run across a lot of 18th C. men’s embroidered clothing while hunting textiles. It is beautiful, but too special to cut! Becky – Madame Cézanne closes on the 15th – the embroidery show is there until July. Thank you for this, Stacey. 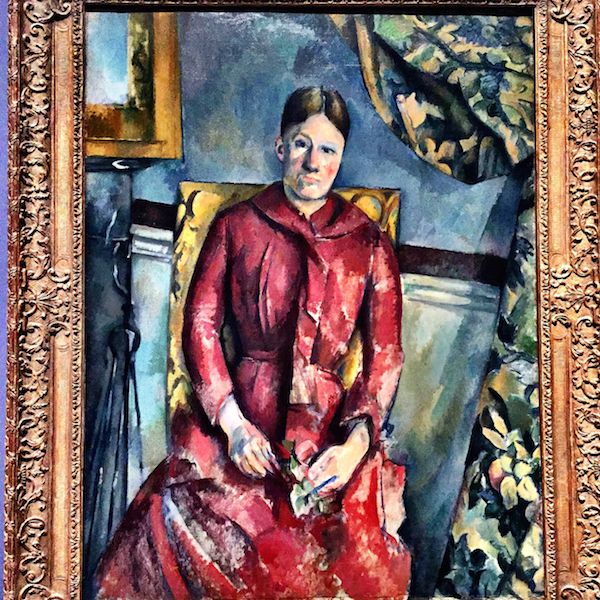 Now, if only they would bring the Madame Cézanne show to Aix-en-Provence where it deserves to be! 82 queries in 0.496 seconds.